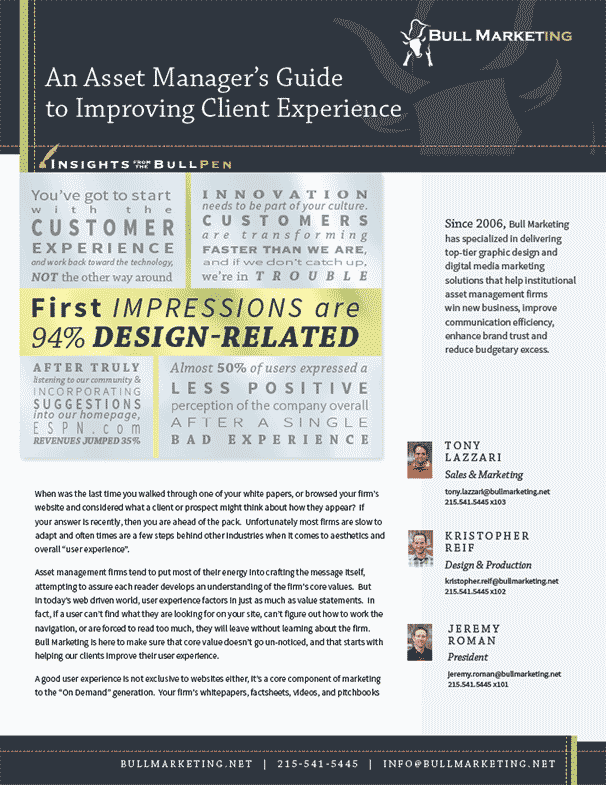 A Guide to Website Makeovers in 2015 | Articles | Bull Marketing Inc. Articles - Bull Marketing Inc. Remember the last time that you had your website re-designed or re-developed? Well, a lot has changed since then! Social Media is valuable tool that should be considered by everyone, there are more 3rd party applications and API’s than ever that are available to leverage for your business, and Responsive layouts and Content Management Systems are re-shaping the face of the industry. It can be intimidating when you set out to re-design a site, but once you dig in and begin to investigate some of the newer technology, you will find all of the changes very exciting. First thing is first, what are you looking to achieve by re-designing or re-developing your website? Design of course being aesthetic layout and graphical changes, whereas development can be a complete switch in back-end architecture structure and supporting technology. There is surely a lot to consider, but the only way to get started is to make a complete list of objectives. After you've listed your goals, another great tactic is to brainstorm, or create a mind map of all the elements involved in your website. List everything, you will thin the list out later. The more you think the project through, the more quickly a clear path starts to emerge. Designing prototypes and building design compositions to sample your layout are always an excellent idea. They streamline the development process by getting a concrete map in place before any code has been written. Once you have a comprehensive project outline and some rough drafts, it's time to formulate the plan. 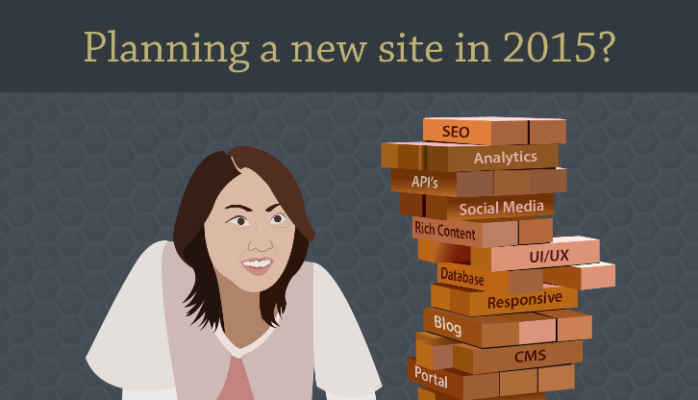 Here are just a few of the elements that you may run into as you redesign your site. These days everyone is working towards a better search engine ranking. There are companies who specialize in search engine optimization (SEO) who help to develop rich content proven to rank higher due to the specialized content. Websites get ranked in order of the richest, most relevant content, as deemed by the search engines themselves. In addition, there are best practices that can be followed to compliment SEO rich content for better results. Expanding your organization’s message to social media, producing relevant graphics, optimizing the site for optimal structure and performance, and implementing Responsive layouts are all things to consider when seeking to improve your search engine ranking. Start thinking of your search ranking early in the process, and you will wind up ahead of the game. Ask yourself if your content is rich enough for 2015? Sure, it was great in 2010 but everything has changed since then, including how Google ranks websites, and how users browse the web. Are your page titles and sections of your site labeled in the best possible way for the search engines to find you? Does your navigation and site layout work for a new guest on the site who knows nothing about your brand? Perhaps the most important and hardest question to ask yourself is, “if I were a new users to the site, would I be interested in reading what is there?” If the answer is no, then it’s time to ditch the old content in exchange for fresh and engaging value driven content that the search engines can index quickly. Still think Facebook and Twitter are for the kids? Web marketers have become hip to the growing benefits of establishing a social media brand. In many cases your search ranking can be improved by taking your message to the social networks such as Facebook, Google+, YouTube and LinkedIn. Think of social media content as an amplification of your brand message. The more valuable the content is that you publish, the better your site will be positioned in the rankings. Social sites can be harnessed to direct traffic back to your company’s site while also making your content easier to share. If you are in business to connect with a larger audience, social media is something you will want take a closer look at incorporating. Think of an API—application programming interface—as a software based adapter or translator that allows two different technologies to communicate with each other. A good example of an API would be enabling a user to log into your site using their Facebook or LinkedIn account login. When you leverage a third party software solution, chances are you will need to find a way to integrate their API key and in more advanced situations, a custom application may need to be developed. Considering the APIs you would like to incorporate makes the most sense at this early stage in the game. The last thing you want to do is to write a bunch of code, only to find out that you forgot to incorporate a key widget or plugin. It’s better to plan all APIs ahead of time so the code can be written with the API in mind. 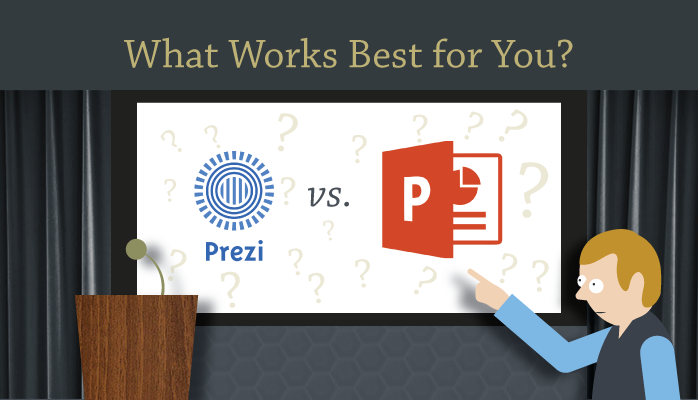 Believe it or not, there is a science to laying out web content. The goal is to successfully direct the user’s attention, in a hierarchical way, around the website. Certain areas of a site’s layout are considered to be more valuable real estate than other areas, and content in these areas should be placed strategically to engage the user on a deeper level. Think about what elements will be the most effective and in which locations. And don’t just think of it in terms of what you are trying to sell the most, think of it from the user’s vantage point too. What will make a new user want to stay on your site longer and what sorts of content can you include that could create a desire for them to contact you? For best results, an even balance of text based content, links and complimentary images and charts should be used in tandem to communicate strong brand value and establish trust. And don’t forget the value of strong graphic design, Google indexes images too! If you make use of strong infographics and content rich imagery, you also improve the chances of someone finding you though an image search, and that content is very easy to share through social networks. Responsive web design is perhaps the most exciting new development since your last website update. Prior to its advent, if company wanted to have a mobile website, they would have to design and support a separate site to cater to mobile users. Offering a mobile site back then was both time consuming and costly and for that reason, a lot of companies shied away from publishing multiple sites. Responsive design shakes everything up because it allows you to take a single website, and resizes it accordingly for the device that it is being viewed on. That makes it easy for everyone to cater to mobile users, who make up more than half of all web traffic. Another positive benefit to implementing a responsive design is that it makes it easier for the search engines to index your site. The easier they can find you, the higher your search ranking will climb. 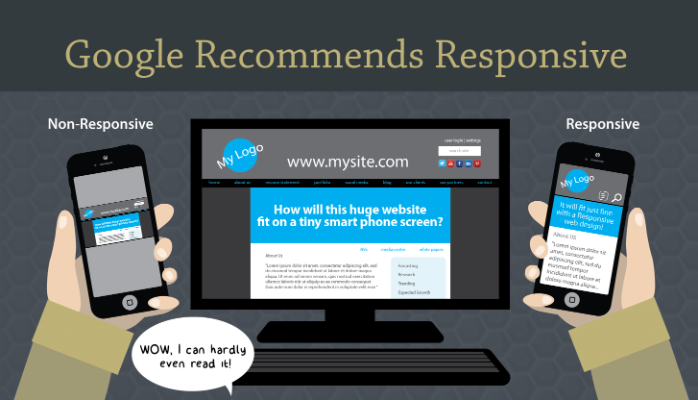 In fact, Google recommends Responsive design as a best practice standard in improve search engine ranking. 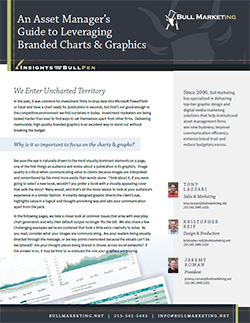 Web design appears to be breaking away from text driven content and embracing a more graphical presentation. The idea is that images and graphics transcend international language barriers fortifying communication across the globe. With this new push to add more graphical content, it’s more important than ever to pick typography that harmonizes with the brand. And now that there are more type kits available, it makes it possible to get away from the old web standards of Times New Roman and Helvetica. 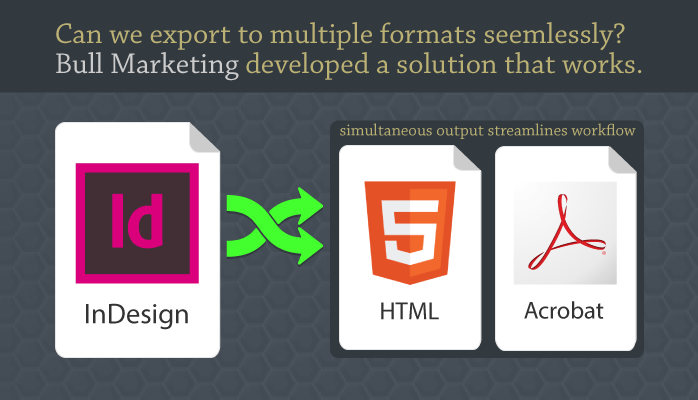 Likewise, there is a clear demand for developing stronger infographics. 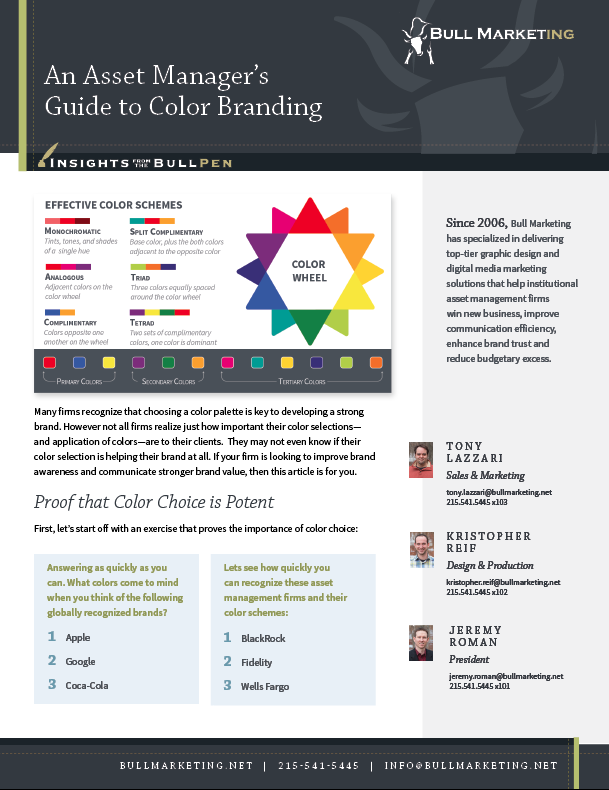 Users are more likely to absorb information contained in a colorful graphic than they are to read a lengthy report. The new standard is to infuse all web graphics to contain a deeper value message, in many cases pulling selling points directly out of larger sections of copy to direct the eye towards the full article. 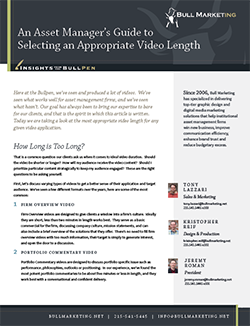 If you aren’t utilizing video by this time, perhaps you haven’t realized how easy videos are to share online. 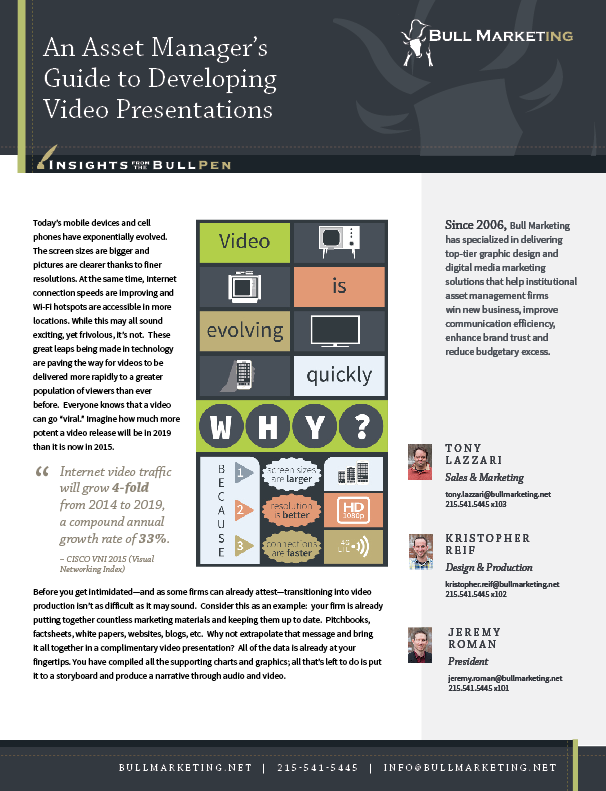 In the past, web videos were tougher to implement because they were costly to produce and host. Fortunately, the technology has caught up and now it’s easier and more cost-effective than ever to produce quality videos and webcasts. Web marketers have figured out that they can take advantage of free video hosting with networks like YouTube and Vimeo, networks who also make it possible to advertise via targeted ad campaigns. Here is a powerful example of the potential audience size for your next video. As of 4 PM EDT today, according to www.internetlivestats.com, YouTube has served up almost 5 Billion videos. That is a lot of traffic and a lot of people who could hear and see your message, if only you had a video hosted where they could find it. Probably the most common pitfall found in a lot of websites that were designed a few years ago is their lack of a call to action. A proper call to action presents a clear and simplified path for a guests on your site, to directly connect with you. Often times a simple “Contact Us Now” button makes a big difference in a client reaching out to you or not. Calls to action are most effective when positioned in close proxemics to value statements. As soon as a guest reads information about one of your services, there should be an easy way act on the content without making the guest try to figure out how to reach out. Content Management Systems—CMS for short—are a handy tool for any organization who would like to be able to login to a website to manipulate pre-specified content areas. The benefit in having a CMS enables non-technical team members to post content as easily as if they were updating a Facebook page or a personal Blog. Many organizations also make use of CMS functionality on their internal company facing intranet website, allowing them to quickly post content, update hyperlinks and make changes on their own without the help of technical support. When planning your re-design project, consider if it makes sense to add a CMS too. It adds a great deal of flexibility and cuts down on maintenance costs. Once the new site is in place—running on cutting edge technology and streamlined for performance and user experience—what do you do next? How about implementing a web analytics solutions such as Google Analytics or Webtrends? Google Analytics is free and easy to add to your site’s code and offers a plethora of reporting metrics and charts that greatly help to shape future site layout and content. Need some idea of which of your posts are the most effective? Curious to find out which sites your users are being referred from? Wondering if your blog is generating enough traffic? The only way to know for sure is to track your web analytics.